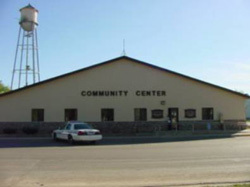 The Heron Lake Community Center was completed in 1995. 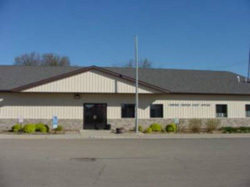 The building houses City Hall, the Police Department, Heron Lake Watershed offices and the Post Office, along with the Senior Citizens Room and Herbert K. Kellam Post 224 Legion and Auxiliary units. There is a large hall suitable for wedding receptions and dances as well as other large gatherings. The Heron Lake Community Center will seat approximately 400 for dining, and tables and chairs are provided by the Center. A large kitchen is located between the large hall and the Senior Citizens room and is easily accessible to both areas. The kitchen is furnished with a commercial refrigerator, stainless steel work tables and sinks, including a triple sink, and two standard electric stoves. The Senior Citizens room is also available for smaller gatherings when not being used by the Seniors group. The building is accessible and is air conditioned. For rental information, contact City Hall at 507-793-2826.